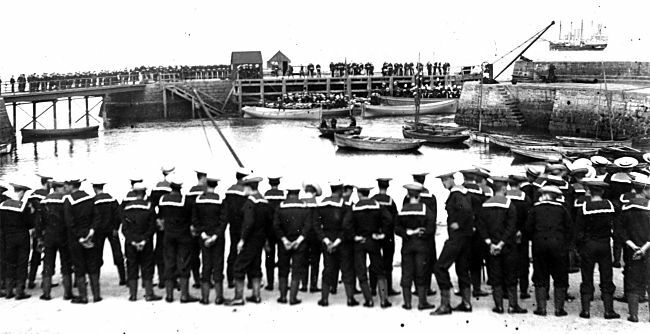 Cromarty Image Library - Sailor's Funeral at the Harbour - c1900?? Sailor's Funeral at the Harbour - c1900?? picture #190 probably shows this later on. leather boots, as No.2 dress, give a further check on the date?